The Anambra State Government, has revealed its plan to commence the arrest of political aspirants in the state who do not have tax clearance. 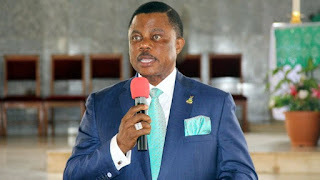 Mr Jude Emecheta, the Managing Director, Anambra State Signage and Advertising Agency, revealed this while speaking with newsmen on Thursday in his office. He stated that the taxes are expected to be paid on branded vehicles, placement of banners and posters by aspirants. Emecheta, stated that the exercise was not to witch-hunt any political party in the state as being speculated by some. He debunked the report that the All Progressive Grand Alliance are planning to choke other political parties ahead of the general election. Emecheta said there has been arrangement put in place to arrest politicians who goes against the rule and impound their vehicles to commit them to pay or prosecute them. He stated that allegation that the aim of the government was to witch-hunt opposition is unfair to the state government. He said demand notices were sent to political parties in the state demanding their compliance. He added, “No vehicle has been impounded for now. We only started the sensitisation; the implementation will commence next week. “There is no law that says APGA members not pay such taxes and levies; it cuts across all political parties in the state. “We will start impounding vehicles of those who refused to pay; you can brand your vehicle without putting any pictures on it, but once your picture appears, it becomes an advert and you must pay.